While good products often evolve with much forethought, others arise unexpectedly, from rip-and-tear, “enough is enough” moments. The hat, however, simply did not allow Stacie to wrap her hair in a bun on top of her head. So, she took a knife and simply cut out the back of the hat, thus liberating her hair from the confines of the cap. 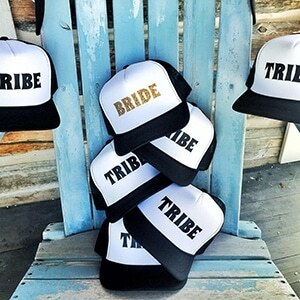 Unbeknownst to Stacie at the time, she had also planted a seed for the Truckette Hat Co. – maker of a modified trucker-style hats designed for active women. Initially, Stacie didn’t recognize her hat alterations as anything more than an emergency fix in the wilderness. 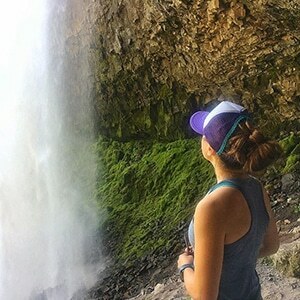 Back in civilization, however, other women – hikers, bikers, and runners with unruly hair issues of their own – began taking notice of Stacie’s novel design. And before long, they began requesting such hats for themselves. Stacie has long been an arts and crafts fan. She began chopping up trucker hats, experimenting to find the best adaptations, adding flowers and lace, and printing various elements on the front panel. The notion of “a trucker hat for your messy bun” thus became a more definitive product idea. Even so, Stacie was reluctant to start a full-blown business. She had operated an enterprise previously and frankly hated it. “I promised myself that I would never own a business again,” she said. But the Truckette Hat Co. seemed to have momentum of its own. As interest in the hat design increased, positive user feedback piled up in personal encounters and on Instagram. In a chance meeting, Stacie also talked with a man who specializes in bringing new products to market. He encouraged Stacie to continue with her Truckette hat design and even pledged his assistance. “This company has like fairy dust sprinkled on it,” Stacie commented. “I can’t tell you how many doors have opened for Truckette.” Behind one of those doors was Sarah Hamlin, the Wyoming Small Business Development Center Network’s regional director for Fremont and Teton counties. Stacie has since filed for a patent on her Truckette hat design and also has a trademark on her logo. “The plan is to take over the world, one messy bun at a time!” Stacie said with a laugh. That plans seems to be working as Truckette hats have built quite a following already. Theresa “Tree” Argentina of Jackson is among the many satisfied owners of a Truckette hat. “I use my hat all the time. I use it when I’m climbing or hiking. I’ve used it on multi-day paddle trips. Also, just casually if I haven’t washed my hair. It’s really a functional, multi-use hat,” Tree said. She even wears it when skiing on bright, sunny days. 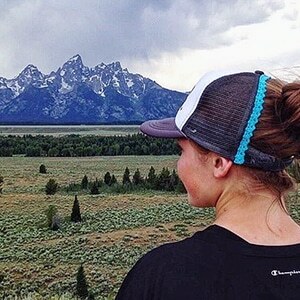 Laura Misiak, also of Jackson, likes the quality and design choices of Truckette hats. 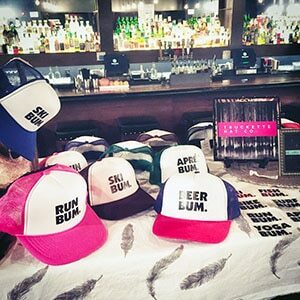 Her collection includes a hat with a “beer” – that being a grizzly bear with antlers – emblazoned on the front.  Due in part to an assist from the SBDC, Stacie is now positioned to make a big market move with the Truckette Hat Co. She created a Kickstarter campaign to raise capital and is evaluating how to mass produce, sell, and distribute her products to active young women everywhere.